Since it’s Father’s Day weekend, it seems appropriate to write about about the “Father of Growth Investing”…Phil Fisher. 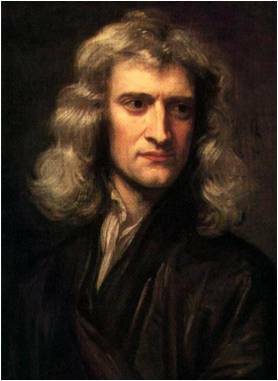 It was English physicist, astronomer, philosopher, and mathematician Sir Isaac Newton who in 1675 stated, “If I have seen further it is by standing on the shoulders of giants.” Investors too can stand on the shoulders of market giants by studying the timeless financial knowledge from current and past market legends. The press, all too often, focuses on the hot managers of our time while forgetting or kicking to the curb those managers whom are temporarily out of favor. Famous and enduring value managers typically have gained the press spotlight, rightfully so in the case of current greats like Warren Buffett or past talents like Benjamin Graham, because they managed to prosper through numerous economic cycles. However, when it comes to growth legends like Phil Fisher, author of the must-read classic Common Stocks and Uncommon Profits, many people I bump into have never heard of him. Hopefully that will change over time. Born on September 8, 1907, Mr. Fisher lived until the ripe age of 96 when he passed on March 4, 2004. Fisher was no dummy – he enrolled in college at age 15 and started graduate school at Stanford a few years later, before he dropped out and started his own investment firm in 1931. His son, Ken, currently heads his own investment firm, Fisher Investments, writes for Forbes magazine, and has authored multiple investment books. Unlike his dad, Ken has more of a natural bent towards value stocks. Phil Fisher’s iconic book, Common Stocks and Uncommon Profits, was published in 1958. Mr. Fisher believed in many things and perhaps would have been thrown under the bus today for his long-term convictions in “buy-and-hold.” Or as Mr. Fisher put it, “If the job has been correctly done when a common stock is purchased, the time to sell it is – almost never.” Not every investment idea made the cut, however he is known to have bought Motorola (MOT) stock in 1955 and held it until his death in 2004 for a massive gain. Generally, he gave initial stock purchases a three-year leash before considering a change to his investment position. If the conviction to purchase a stock for such duration is not present, then the investment opportunity should be ignored. Fisher’s concentration on growth stocks also shaped his view on dividends. Dividends were not important to Fisher – he was more focused on how the company is investing retained earnings to achieve its earnings growth. Like Fisher, Peter Lynch is another growth hero of mine that also felt there is too much focus on the Price/Earnings (PE) ratio rather than the long-term earnings potential. 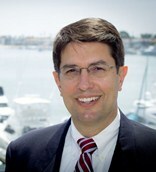 Although Fisher believed firmly in buy and hold, he was not scared to sell when the firm no longer met the original buying criteria or his original assessment for purchased was deemed incorrect. I could only dream of having a fraction of Mr. Fisher’s career success – he retired in 1999 at the age of 91 (not bad timing). As my investment management and financial planning firm matures (Sidoxia Capital Management, LLC), I will continue to study the legendary giants of investing (past and present) to sharpen my investing skills. DISCLOSURE: Sidoxia Capital Management (SCM) and some of its clients hold positions in certain exchange traded funds (ETFs), but at the time of publishing, SCM had no direct position in MSI, BRKA/B, or any other security referenced in this article. No information accessed through the Investing Caffeine (IC) website constitutes investment, financial, legal, tax or other advice nor is to be relied on in making an investment or other decision. Please read disclosure language on ICContact page. Entry filed under: Profiles. Tags: Common Stocks and Uncommon Profits, growth, growth investing, Isaac Newton, Ken Fisher, Phil Fisher, Philip Fisher. Meanwhile over here in UK youngsters in Nat Newspapers are allowed to write total nonsense about investment unchecked. Wonder what Fisher would say about that ? In most industries you need licenses and credentials to operate in. In the Newspaper world, you just need a pulse and an ability to make provocative statements, in order to sell advertisements and subscriptions.